Jerry Ulm Chrysler, Dodge, Jeep, Ram is family owned and operated, proudly connected now to the Morgan Auto Group here in Tampa, FL. We take special pride in creating positive customer experiences (which is why our slogan has always been “There is no place like Ulm”). Those principles shape the customer experience we look to provide on our web site. Your Tampa Area Chrysler Dodge Jeep Ram and Used Vehicle Dealership! We have been proudly helping Chrysler, Jeep , Dodge, and Ram Truck buyers from the Tampa, Westchase, Brandon, St. Petersburg, Lakeland, Clearwater and Wesley Chapel areas find the right new and used vehicles by featuring excellent customer service and great prices. 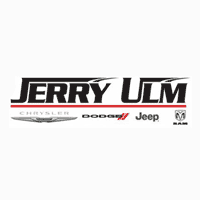 Here at Jerry Ulm Dodge Chrysler Jeep Ram, we have a huge selection of New Vehicles you can choose from! When you visit our dealership to test drive a new vehicle, the first thing you will notice is the huge selection of new Dodge Ram 1500, Jeep Wrangler, Jeep Cherokee and Grand Cherokee, Chrysler Pacifica Van, Dodge Charger and many more new models priced to sell. You will always be greeted by our friendly team of automotive experts and have access to our huge selection of new vehicles. No matter if you are interested in a Dodge, Chrysler, Jeep, or a Ram truck, our team will help you with all of your automotive needs. Our experienced and committed sales team takes great care in honoring our commitment to our valued customers, set forth by the Ulm Family over 20 years ago. Are you shopping for an affordable, yet quality Used Vehicle in the Tampa Area? Are you on a tight budget and want the confidence that when you buy a used vehicle it is quality and reliable? That is why we have a wide selection of used vehicles for sale right on our dealership lot in Tampa! We urge you to check out our pre-owned inventory online and take a look at our used car specials. If you are looking for used Jeep Patriot, Cherokee or Grand Cherokee in Tampa or a used Jeep Wrangler you will not be disappointed as we carry quite a few in our used vehicle inventory. Our pre-owned vehicles are extremely affordable and provide you with the kind of experience on the road that you deserve. Furthermore, all of our used vehicles are highly reliable and very safe. Our Finance Team Will Help You Get the Best Car Loan or Lease! After you have chosen the perfect vehicle, and have taken it out on a test drive, the next step is to secure the best financing options for that vehicle! Whether you are looking to buy a new or used car or you are leasing, our team will walk you through the entire process, answer your questions, and ensure that all specific details have been clarified. You can also use our online vehicle financing application to expedite the entire process. Trust Jerry Ulm with all your Car Repair and Service needs! Whether you need a fast oil change, a tire rotation, or a major repair, our team of car repair experts can help you with all of your servicing needs! Why do so many Car Shoppers in the Tampa area make the drive to Jerry Ulm Chrysler Dodge Jeep Ram? You want to find the right vehicle that fits your specific needs at the right price, in a comfortable, no pressure setting. Our team knows that. We are proud to have satisfied customers from the Tampa, Westchase, Brandon, St. Petersburg, Lakeland, Clearwater and Wesley Chapel areas of Florida! If you would like to learn more about our huge selection of vehicles, including Dodge, Chrysler, Jeep, and Ram vehicles, or if you have any questions about the car buying process we invite you to visit us in Tampa, FL. Our team would be more than happy to assist you with all of your automotive needs! Visit us today at 2966 N Dale Mabry Hwy FL 336 Tampa, FL 33607 right next to Raymond James Stadium and minutes from Tampa International Airport or call us at (813) 872-6645 and let us assist you with all of your automotive needs from purchasing to auto repair.